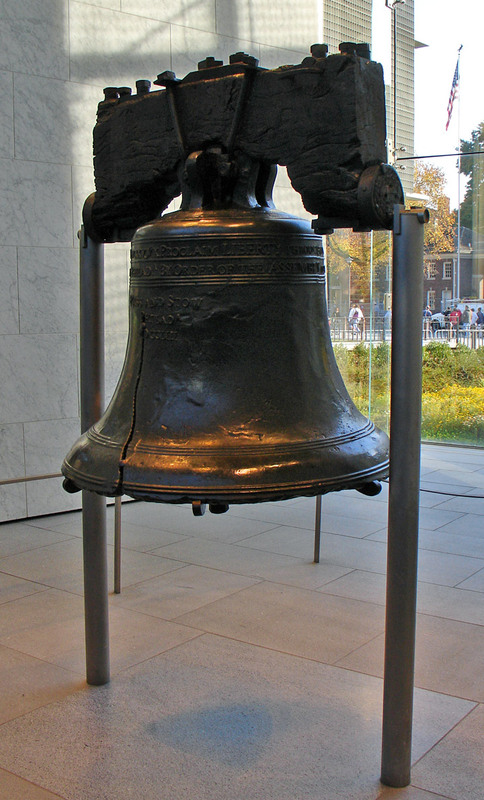 Liberty Bell, symbol of freedom worldwide. 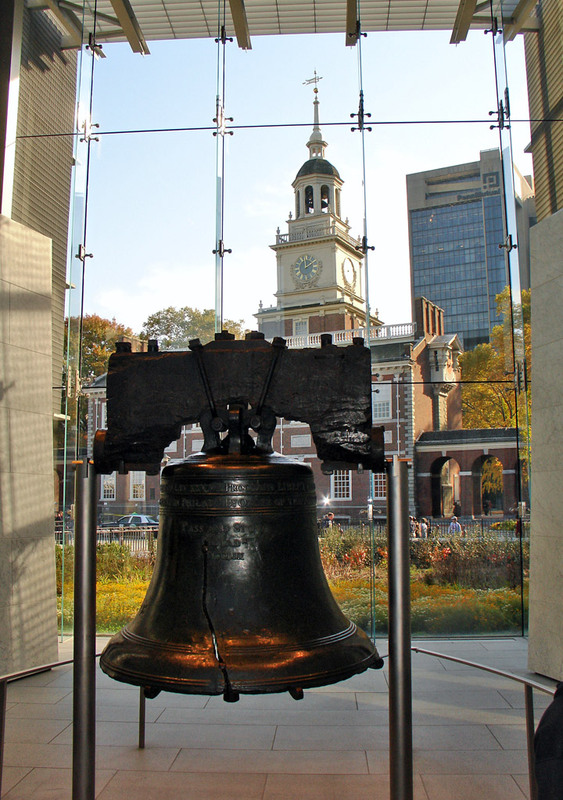 In 1752 the first "Liberty Bell," cast to mark the fiftieth anniversary of Penn's Charter of Privileges, arrived from England. 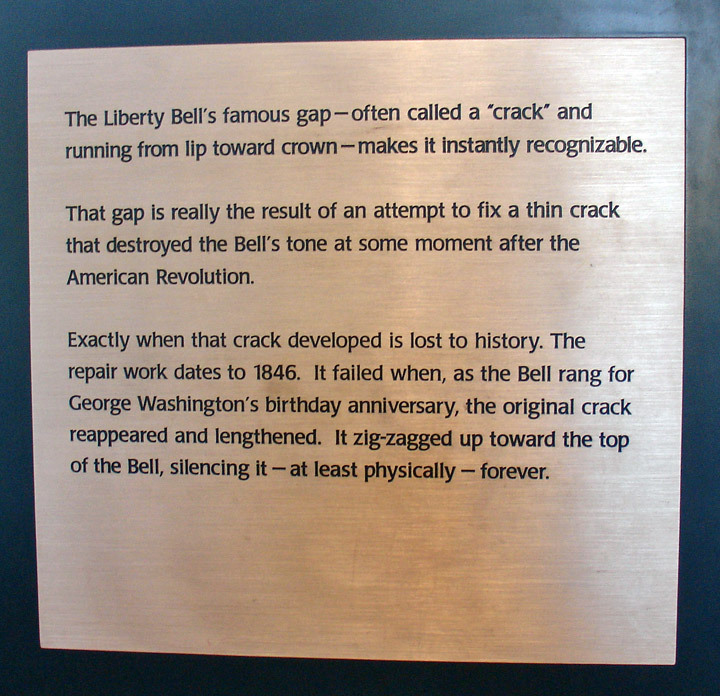 The original bell cracked while being tested. 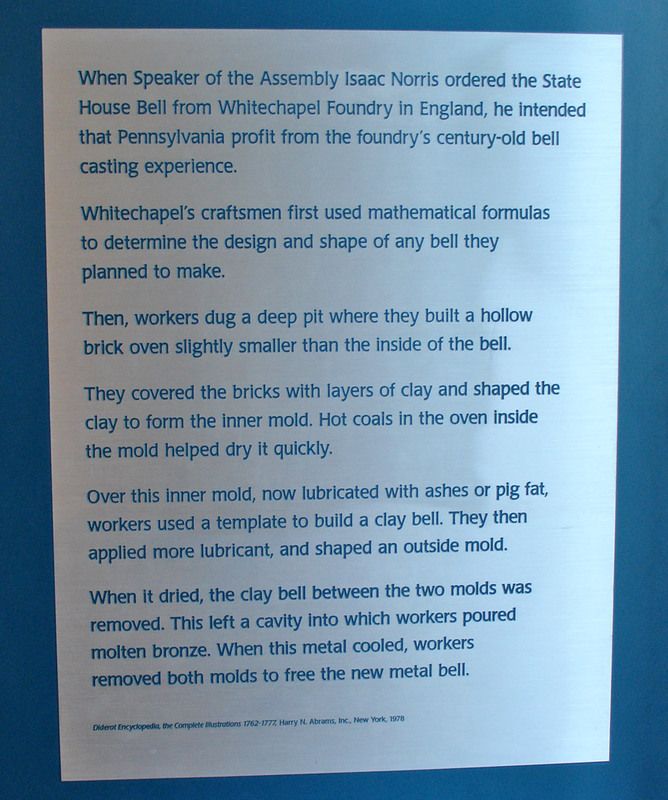 Two Philadelphians, John Pass and John Stow, recast it and it was finally hung in April 1753. When the British entered Philadelphia in 1777, it was spirited away to safety in Allentown, Pennsylvania. The bell cracked again in 1835, when tolling for the funeral of Chief Justice John Marshall. 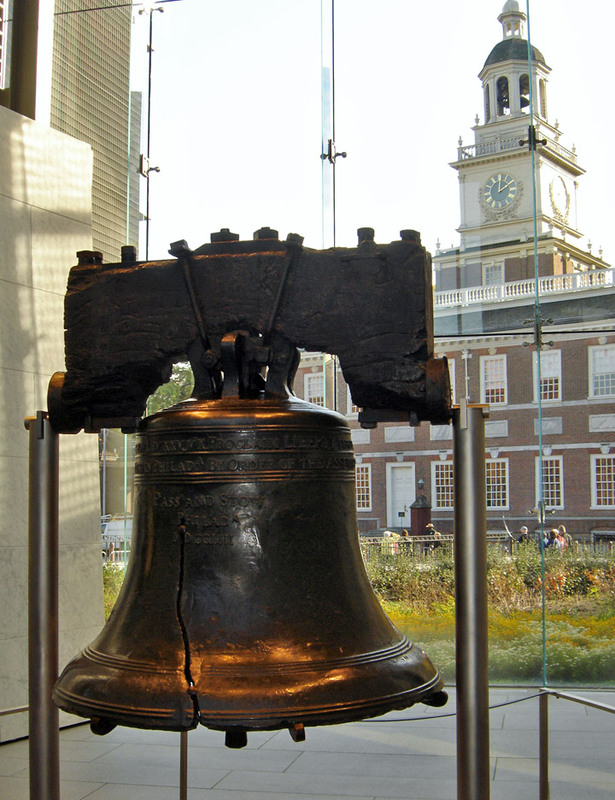 Its most famous ring may have been on July 8, 1776, when it summoned the citizens of Philadelphia to the State House Yard to hear the Declaration of Independence read by Colonel John Nixon, an ancestor of Richard Nixon. 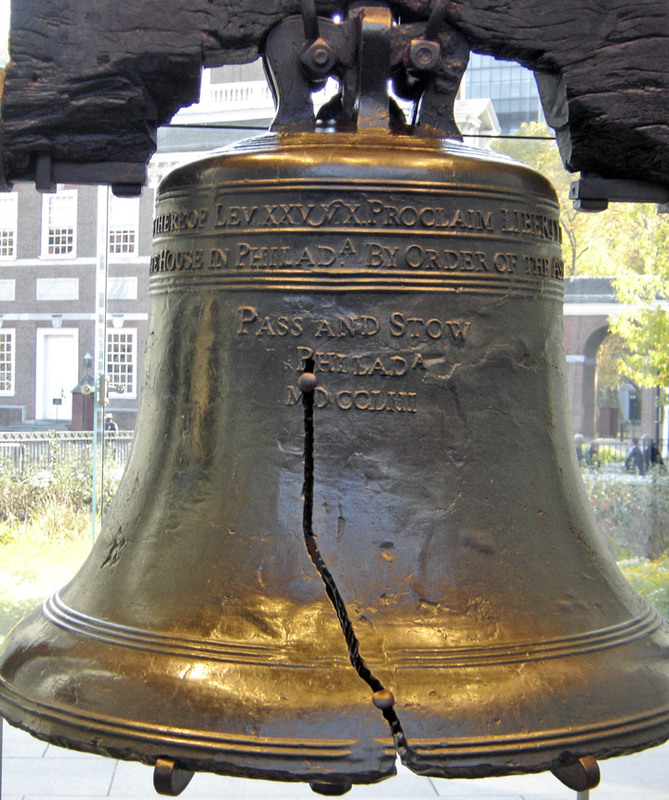 On the bell's outside face are the words from Leviticus XXV:10, "Proclaim liberty throughout all the land, unto all the inhabitants thereof."